There has been tremendous concern in recent years over pathogenic bacteria (such as Salmonella and Escherichia coli) found on raw fruits and vegetables. But what about nonpathogenic bacteria? Aren't some of the benefits of eating raw fruits and vegetables the microbes found on them? What actually is on them? Fresh fruit and vegetables carry an abundance of bacteria on their surfaces, not all of which cause disease. In the first study to assess the variety of these non-pathogenic bacteria, scientists report that these surface bacteria vary depending on the type of produce and cultivation practices. The results are published March 27 in the open access journal PLOS ONE by Jonathan Leff and Noah Fierer at the University of Colorado, Boulder. The study focused on eleven produce types that are often consumed raw, and found that certain species like spinach, tomatoes and strawberries have similar surface bacteria, with the majority of these microbes belonging to one family. Fruit like apples, peaches and grapes have more variable surface bacterial communities from three or four different groups. The authors also found differences in surface bacteria between produce grown using different farming practices. The authors suggest several factors that may contribute to the differences they observed, including farm locations, storage temperature or time, and transport conditions. These surface bacteria on produce can impact the rate at which food spoils, and may be the source of typical microbes on kitchen surfaces. Previous studies have shown that although such microbes don't necessarily cause disease, they may still interact with, and perhaps inhibit the growth of disease-causing microbes. The results of this new research suggest that people may be exposed to substantially different bacteria depending on the types of produce they consume. 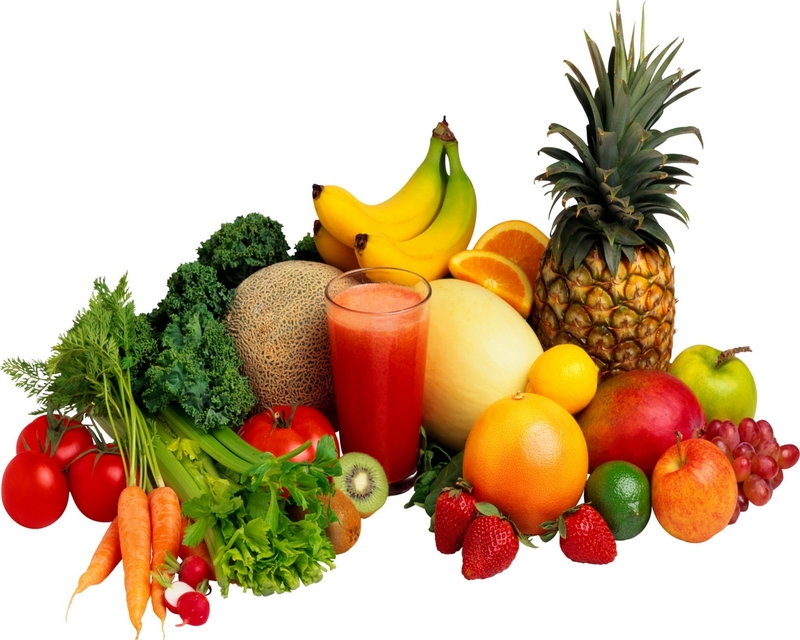 Fresh fruits and vegetables can harbor large and diverse populations of bacteria. However, most of the work on produce-associated bacteria has focused on a relatively small number of pathogenic bacteria....Our results demonstrated that the fruits and vegetables harbored diverse bacterial communities, and the communities on each produce type were significantly distinct from one another. However, certain produce types (i.e., sprouts, spinach, lettuce, tomatoes, peppers, and strawberries) tended to share more similar communities as they all had high relative abundances of taxa belonging to the family Enterobacteriaceae when compared to the other produce types (i.e., apples, peaches, grapes, and mushrooms) which were dominated by taxa belonging to the Actinobacteria, Bacteroidetes, Firmicutes, and Proteobacteria phyla. ...Taken together, our results suggest that humans are exposed to substantially different bacteria depending on the types of fresh produce they consume with differences between conventionally and organically farmed varieties contributing to this variation. Fresh produce, including apples, grapes, lettuce, peaches, peppers, spinach, sprouts, and tomatoes, are known to harbor large bacterial populations –, but we are only just beginning to explore the diversity of these produce-associated communities. We do know that important human pathogens can be associated with produce (e.g., L. monocytogenes, E. coli, Salmonella), and since fresh produce is often consumed raw, such pathogens can cause widespread disease outbreaks –. In addition to directly causing disease, those microbes found in produce may have other, less direct, impacts on human health. Exposure to non-pathogenic microbes associated with plants may influence the development of allergies ,and the consumption of raw produce may represent an important means by which new lineages of commensal bacteria are introduced into the human gastrointestinal system. Although variable, taxonomic richness levels differed among the eleven produce types with richness being highest on peaches, alfalfa sprouts, apples, peppers, and mushrooms and lowest on bean sprouts and strawberries (Fig. 1). Bacterial communities were highly diverse regardless of the produce type with between 17 and 161 families being represented on the surfaces of each produce type. However, the majority of these families were rare; on average, only 3 to 13 families were represented by at least two sequences per produce type. Furthermore, pairwise tests revealed that the community composition on the surface of each produce type differed significantly from one another. Still, certain produce types shared more similar community structure than others. On average, tree fruits (apples and peaches) tended to share communities that were more similar in composition than they were to those on other produce types, and produce typically grown closer to the soil surface (spinach, lettuce, tomatoes, and peppers) shared communities relatively similar in composition. Surface bacterial communities on grapes and mushrooms were each strongly dissimilar from the other produce types studied.